I have LOADS of prep to do for the MarketSW coming up on Friday so I got started a bit earlier than usual (and I’m still working). Photo is the unpacking before the packing. Every time I do an arts market or craft show, I unpack pretty much every piece of pottery I have in stock. It’s a pain, but worth it. Why? One – ceramics are HEAVY, so if there are pieces I’m not terribly excited about anymore (or they have a specific theme that doesn’t fit the location or time of year), I don’t need to carry them with me. Two – I hate pricing works. I think most artists/artisans have trouble with this! 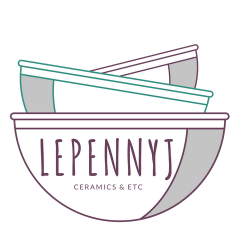 With everything out though, it’s a good time to review price on anything that’s previously been shown in relation to newly added ceramic works so that I don’t price my new pieces too high (or to low!) and check back on what seemed effective (or didn’t) last go. Three – This process gives me an idea of what my display will look like, what colors are prevalent in my works, what shapes and sizes all the pieces I want to show are and how they’ll work together. Again, sometimes this means taking out pieces I love because they just don’t fit with the rest – which is hard! I’m so looking forward to being back with new works (still hoping a few more tiny houses will be ready by Friday) and some old favorites. It’s looking like we’ll have good weather, maybe by the afternoon it will cool off a bit! One of the great things about this market though is that there is music, food and drink both onsite at LotSW and nearby. Friday night made.